Bruce Chatwin’s collected “letters” collated in 'Under the Sun', remain unread by this reviewer who actually knew him a little, while we all await instead for his “magnum opus” of perpetual motion, his myriad moleskin notebooks, to be released sometime soon in the 21st century. . . .. In fact, while I attended Tulane University in New Orleans, I got to know Bruce a little when the much-older-than-we “pretend” student crashed an anthropology class I was taking, with a prof sporting an antique square mustache similar to the one worn by Charlie Chaplain as “The Little Tramp”. I also was there the night Bruce famously danced with a live python around his neck. I remember saying to him, “Bruce, what are you doing? That snake might be poisonous.” With pretend fear, he backed out of the bar, and went onward. He also mentioned he had had a book optioned by Jonathan Cape, a publisher I had never heard of. One acquaintance said memorably that he had the MAD MAD eyes of a nineteenth-century explorer”; others, the “glittering eyes of the Ancient Mariner.” On the trail, in Afghanistan, Wales, or India, he could be found in his signature khaki shorts (“Bruce’s little shorts,” joked his good-time Charlie friends)--which I imagine he might have modeled after Tintin—with ankle-length walking boots and neatly turned-down fawn socks, delighting observers with its whiff of the Raj. “I think I can, “ I said. Fact or fiction? Fact. Bruce really did own Hawaiian King Kamehameha’s bedsheet. Fiction? Was Bruce really approached, as he claimed, by British Intelligence while traveling in communist Eastern Europe? Fact. Bruce sort of “smuggled” a Cezanne out of France. Fiction? He tricked Customs inspectors by posing as the picture’s painter. Fact. Bruce really was caught in a coup in Benin, while researching The Viceroy of Ouidah. Fiction? What happened to him in the story “The Coup” (atrocities are spoken of in the accents of Noel Coward) is apocryphal. Stories simply changed as they were recalled, becoming in translation akin to tales both tall and twice-told. Going back to Clapp, rather than to Nicholas Shakespeare and his amazing definitive biography (which you will have to judge for yourself), she quite elegantly suggests in a roundabout way that Bruce might have wanted to be an actor on the world stage. She calls him “a skillful manager of remarkable entrances and surprise appearances,” and one does wonder if Chatwin did in fact live life as if he were in a very weird version of “The Truman Show”—awaiting the mixed reviews of his audience. Tales of the unexpected attached themselves like ticks to Chatwin wherever he wandered. Though Chatwin “hardly wrote a confessional line in his life” (he never publicized his homosexuality, or, better, “bisexuality,” for example), only time will tell what other surprises await inside his eighty-five private moleskin notebooks, scheduled to be released to the public in the New Millenium. 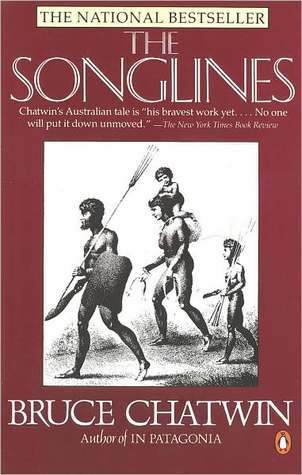 But meanwhile we have Chatwin’s published work to puzzle over, urging even the most sedentary armchair readers into the unknown and awakening the nomad in all of us. 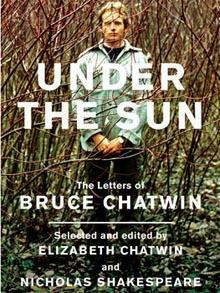 Bruce Chatwin’s fairly recent collection of letters called Under the Sun is a window into the real guy behind the myth, published by Viking, reasonably priced at only thirty-five smackers, and available online at Amazon.com. Chuck it into your cart, then chart a course for high adventure. . . .
BIO: John M. Edwards, an NATJA award-winning travel writer has written for such magazines as CNN Traveler, Salon.com, Islands, Hackwriters and North American Review. A former editor at Pocket Books and Emerging Markets, John is now a freelance photojournalist, writer, editor, and poet.